Having worn the 'Best Actress' award for her performance in 'The Grandmaster', Zhang Ziyi (章子怡) celebrated her win at the 50th Golden Horse Film Awards after-party on November 23, 2013. 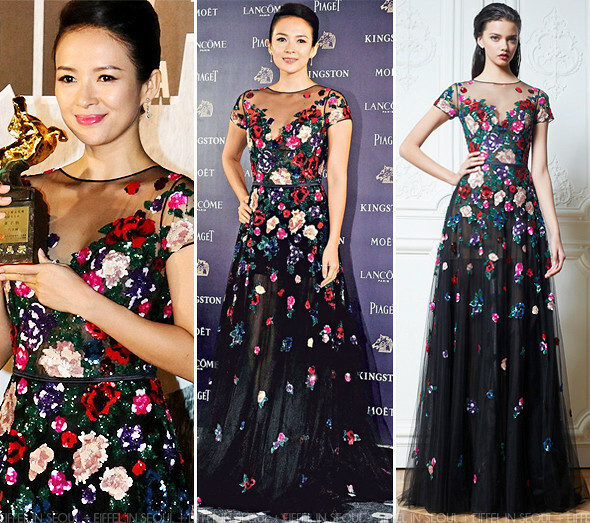 The Chinese actress opted for a black tulle gown with floral sequined appliqué from Zuhair Murad Fall/Winter 2013 collection. Her look was completed with silver jewels. While her Chanel dress may not be my favorite at the award show, I loved this dress on her.